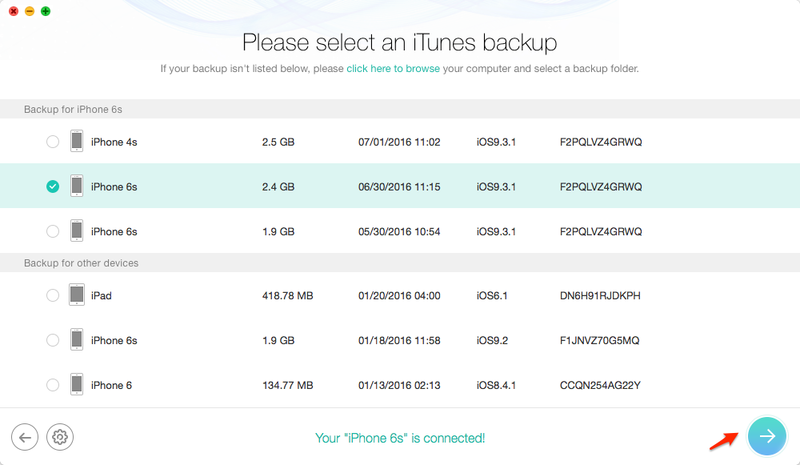 Want to extract photos from iPhone backup but do not know how? This post offers you a desirable iPhone backup extractor to help you extract pictures from iTunes backup with ease. 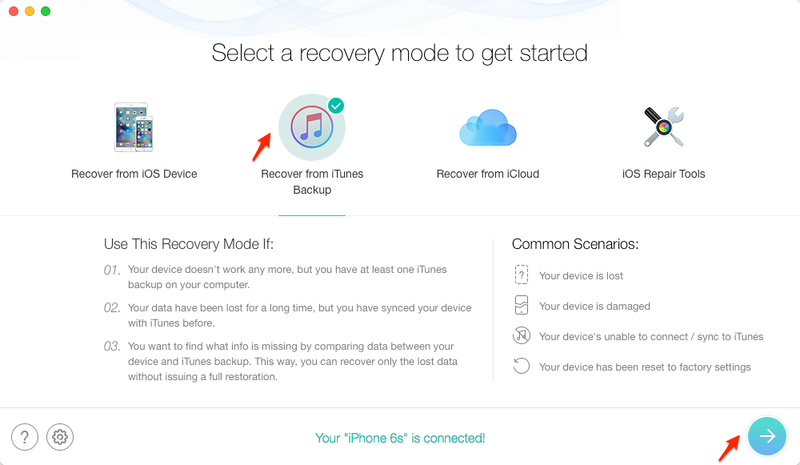 PhoneRescue – iOS data recovery could help you extract data from iTunes backup. Download it right now and follow us to extract photos from iTunes backup within three steps. Apple makes it easy for users to backup their iPhone data to iTunes, and you can restore the lost data like your important photos from iTunes backup. However, due to its all-or-nothing rule, iTunes restore won't allow you to restore selectively and it will erase your existed data on your iPhone. 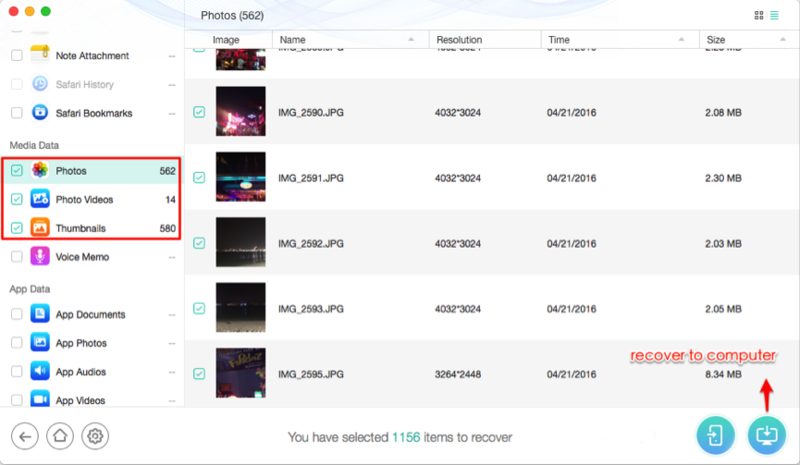 So, how to extract photos from iPhone backup without losing previous data? PhoneRescue – iOS data recovery, an iPhone backup extractor could help you extract photos from iTunes backup with ease. > It helps extract up to 22 types of personal & media & app data , including the lost photos, messages, music, videos, even playlists and app data. > It supports to recover your valued info via 3 safe and reliable ways: Recover from Device, Recover from iTunes Backup, Recover from iCloud Backup. > It allows to preview and extract individual items instead of the entire backup which greatly saves time and efforts. Step 1. Click here to go to PhoneRescue download page, choose Download for iOS, install & run it on your computer > Choose "Recover from iTunes Backup" > Click Right Arrow to continue. Step 2. Select a backup among the backup lists on the left-side, and click "Next". Step 3. After PhoneRescue – iOS data recovery finished scanning, select Photos, Photos Videos and Thumbnails to view and find the photos you need in iTunes backup. Note: After you extracting photos from iPhone backup, you can transfer them to your iPhone with AnyTrans - an all-in-one iOS files management tool. PhoneRescue – iOS data recovery is a comprehensive iPhone data recovery tool to extract your photos with great ease. Now download it and start free trail. Any questions or comments about this article or PhoneRescue is welcomed. Meanwhile, don't forget to share this article with your friends.